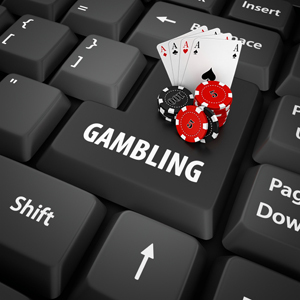 When the state of Delaware first began to offer online poker, there were high hopes. Players would be able to log online to sites provided by the three racinos in the state to enjoy online poker gaming, if located within the borders. After New Jersey and Nevada were in the mix, Delaware received the short end of the stick so to speak as far as revenues earned. The state is small, so it was expected that the revenues would not be super huge. Just six months ago, the governors of Nevada and Delaware signed an interstate agreement which would see the two share player pools. This seemed like a great deal for Delaware as the state would be able to take advantage of players in Nevada and any other state that got in on the action later on. However, the deal seems to be a bust as Delaware has actually seen a 20% decrease in revenues from online poker when comparing August of 2014 reports to 2015. When looking at revenue totals from April of this year until August, the state only earned just over $177,000. In this same time frame of 2014, the state was able to earn almost $100,000 more. One would assume that once the share player pools took effect, more players would log on as the tables would be busier, but this is not what happened. Is the issue because the two states have a low population when compared to other areas? Would Delaware see more action if additional states were to be part of the interstate agreement? Or perhaps it is just too early to tell? One can also consider that the summer months are a quiet time for poker players as they go on vacations, enjoy outdoor activities, etc. It is still too early to form a full opinion based on just a few months of figures. It will be interesting to see how the industry develops, if the numbers continue to stay under the $100,000 mark every single month, remaining steady, or if the state sees a decrease or increase in revenues over time.